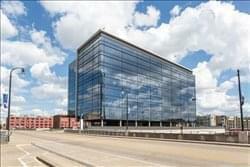 Find My Workspace lists over 95% of the executive office suites market in Nashville. Simply click Request Quote to check pricing for one office, or Add to Basket for multiple offices. This center makes growing your business easy with move-in ready spaces that come fully equipped with office furniture, fiber internet and WiFi, and your company logo prominently displayed on your office door. Luxury amenities such as local beer on tap, an espresso bar, lounge areas, and 24/7 secured building access are all included in monthly rent, so you don’t have to worry about being nickel and dimed. In addition, clients love being part of the community, with regular access to happy hours, Lunch & Learns, and community events. These offices are beautifully built with real maple trim. Offices are furnished with desk and phone system. The center has the Assistant Receptionist team on site during business hours to serve you as a part of your office agreement. 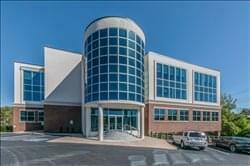 This exceptional corporate business center location is a key provider of professional facilities and services, offering prospective professional tenants with a wide range of exceptional business services including a live receptionist and administrative assistant, prestigious office suites in a local landmark location, fully furnished offices with dedicated internal telephony, 24-hour access, conference facilities meeting and deposition rooms. This center, located in a brand new building, offers both collaborative workspaces as well as private office options in glass pods for up to five people. The space caters to a variety of business needs, from growing businesses to established enterprises and offers its members fantastic amenities such as on-site indoor parking, food and local beer served in the cafe, elegant common areas, a mother’s room and a secret room to relax in. The space has floor to ceiling window which let in an abundance of natural light and allow for some of the most beautiful views in Nashville. Fully furnished offices, at this prestigious business address with dedicated personal local phone number, live telephone answering by our professional staff and telephone service with voice mail to email service. There is ultra-fast high speed Internet and Wi-Fi as well as access to a meeting room and day offices as well as free access to the Community Café with complimentary gourmet coffee, tea, and water. There are a full range of administrative services available on an as needed basis, which includes utilities, maintenance, and janitorial services, 24/7 secure building access, ample free parking. 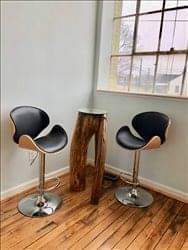 This center is a shared community space for independent working professionals, entrepreneurs, and startup companies in the Dickson area who need an office to call home. Dickson, Tennessee’s first ever coworking space is entirely devoted to fostering a place of synergy, productivity, and community. Become a member and escape the monotony of a library, the distraction of a coffee shop, and the loneliness of a home office. It is perfect for work-from-home-ers who need an office space in the midst of like-minded, creative professionals. You can get fast internet, a library of inspiring resources for members, and a consistent flow of knowledge in entrepreneurship and beyond through engagements, conferences, speakers, and each other. This premium shared office space blends inviting hospitality with modern design to provide an unparalleled office experience with stunning views of Nashville. 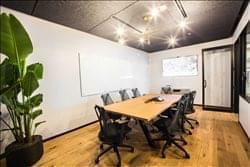 Enjoy the productivity and privacy of personal office space, plus the revitalizing atmosphere created by the close-knit community of entrepreneurs from diverse industries including creative agencies, growing start-ups, and professional services firms in real estate, consulting, finance and legal. Private offices are available for teams between 1 and 40, as well as limited co-working and dedicated desk memberships. Memberships include; 24/7 access, private locked offices, designer chairs, custom-made wood desks, a selection of coffees and pastries, a fully stocked beverage fridge, afternoon pick-me-ups, all utilities, internet connections, mailing and package services, unlimited printing and copying, concierge service, conference room hours and complimentary event space.